Burger King in Japan have recently released a new hamburger. 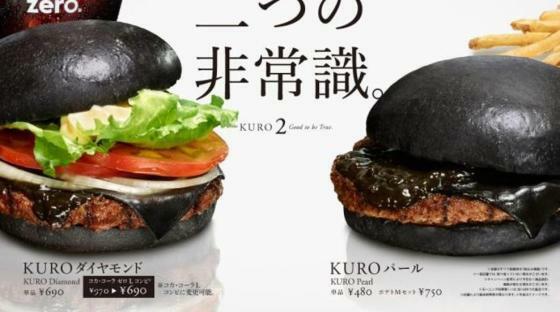 It’s called the Kuro Burger. And that’s big news. Why? Well. There’s a bun, some onions, a beef paddy and a dab of sauce. Nothing extraordinary, I’d say. A Kuro Burger smells, and feels pretty much the same as any other burger from Burger King (or any of its competitors). It probably tastes similar too. There’s really nothing special about that as well. A regular Kuro Burger will cost you 480 Yen. So it’s similarly priced to other offerings from Burger King. Nothing newsworthy about that either I’d say. So why are people even talking about this? Because it’s black. A Kuro Burger is pitch black. The bun, the beef, the onions and even the sauce. All of it is black and none of it is supposed to look black. That’s why. How does convention strengthen your brand? People are visual pattern seekers. We tend to compare what we see to what we know. This is a largely unconscious proces. Basically we expect certain things to look a certain way, and as long as things conform to this standard we tend not to get aroused. Here’s some examples. Logo’s for juice brands tend to use a LOT of orange and green, chocolate brands tend to favour (you guessed it) a lot of brown and red hues. More than half of diamond ads have a black background. A huge number of cosmetics brands have feminine sounding names, car manufacturers tend to gravitate to circular logo’s and over half of the law firms I know tend to use the name of their founders or partners. I’m sure you can come up with a few examples of your own. Sticking to convention or sticking out? Designers and marketeers working for an established brand in well established markets tend to stick to the conventions of that market because they understand that people are pattern seekers. People seek confirmation of the things they know and understand. There’s a reason Samsung’s Galaxy look a lot like iPhones. There’s a reason most cars by most major car manufacturer look so similar. There’s a reason why juice boxes tend to be orange and green. Confirmation to established standards imbues a sense of trustworthiness and familiarity. It helps people understand what a product or service is all about without any extra explanation. This works a bit like using short hand and therefore can be extremely efficient and useful. It can also be a bit bland – a bit like most regular burgers. Things get much more exiting when brand builders consciously try to break the conventions that dictate what the logos, brand names and products of their industry should look, feel and taste like. Great brand builders know exactly which conventions are meant for sticking to and which ones are meant for sticking out. So what convention will you be breaking today?